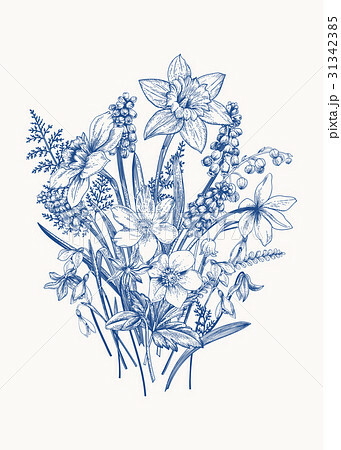 イラスト素材: Bouquet with spring flowers. Bouquet of early spring flowers. Botanical Illustration engraving style. Vector. Blue.